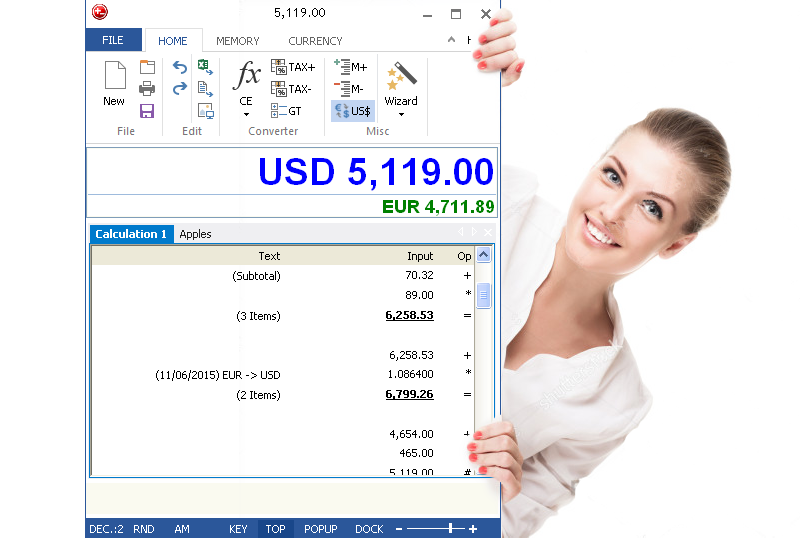 DeskCalc is a paper tape adding machine that comes packed with a modern interface and many useful features for business managers, accountants and number crunchers. Do not waste your physical desk space, use up expensive rolls of tape, require batteries or power supplies, or get lost underneath a pile of paper. 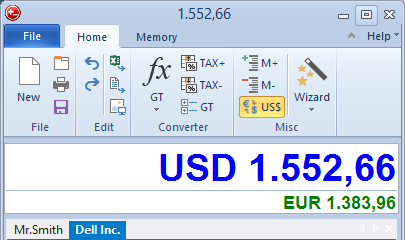 Real Time Desktop Currency Converter - convert all currencies to their respective equivalent. 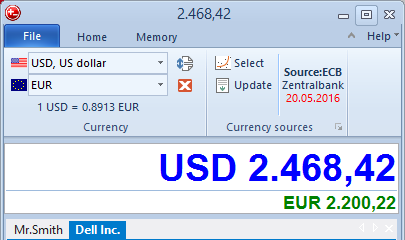 Updated in real time so you always get the latest conversion rates. 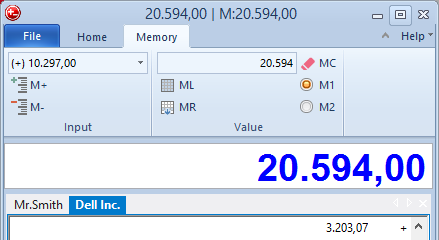 Visible memory value - You'll always know what's in memory because it's displayed on the calculator header and listbox. 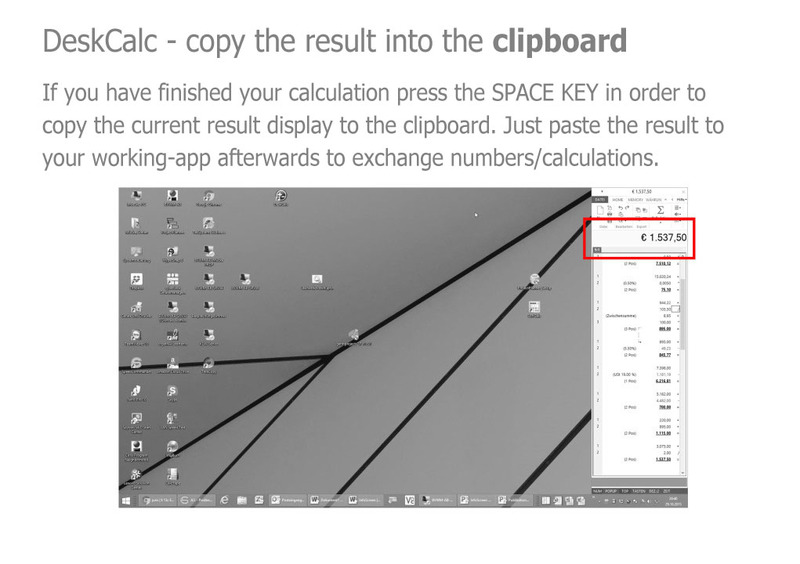 We will take a quick look at the functions you will find when you install this calculator. But it's not about the functions really, its the way it will change your way of calculating and the way it will boost your work experience. 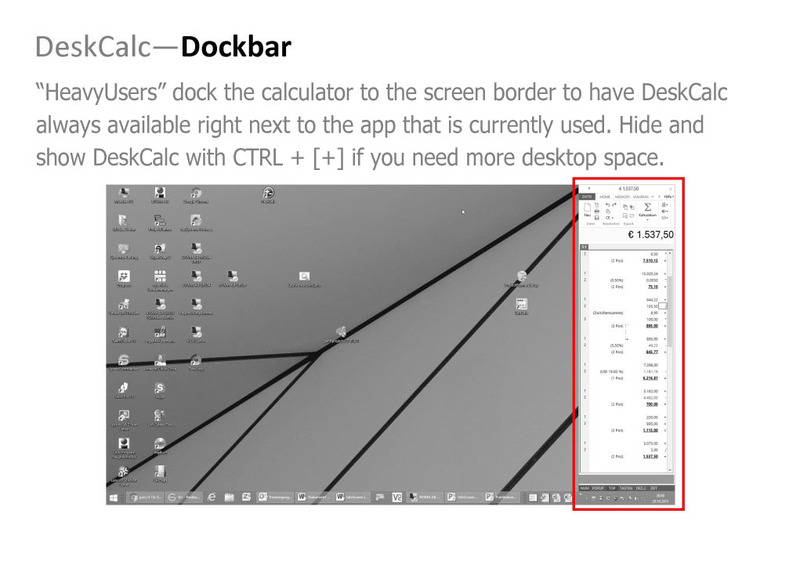 DeskCalc is a feature rich "paper tape calculator" with all of the functions you expect from a mechanical adding machine plus capabilities associated with a Windows environment. Calculator modes all in one.. Thank you very much! 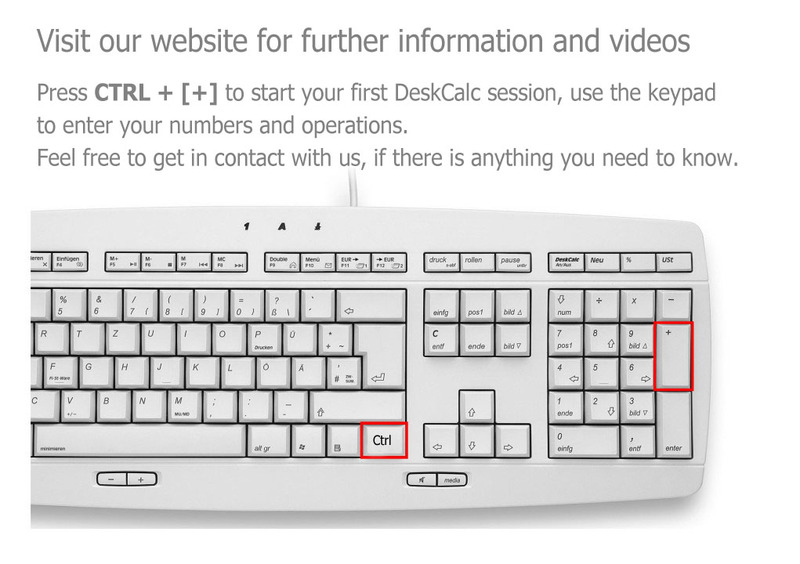 We absolutely LOVE our Deskcalc programs, they’re so much better than the ten key calculators with the tapes! 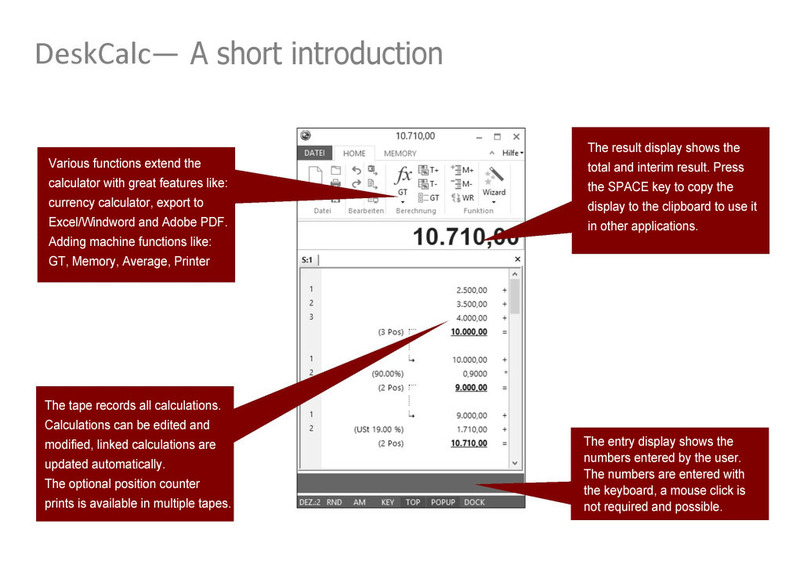 I love that the calculations can be downloaded to PDF or Excel format to save calculations for a specific project, or prove numbers to clients. Awesome program! Great product. I just unplugged my Victor 1280 calculator after 30 years. 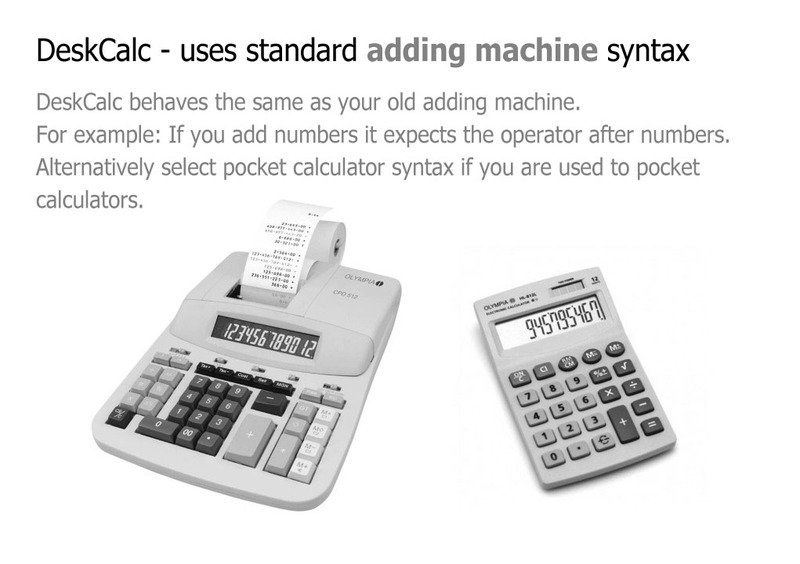 I'm happy to purchase the upgrade and appreciate the discount - this is the ONLY adding machine tape program that I have found that works like a 10-key. 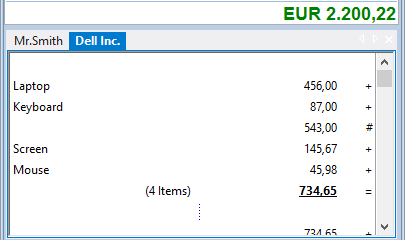 And the price is quite reasonable considering what I get out of it. Your product is superb. There is nothing else out there for computers like it. 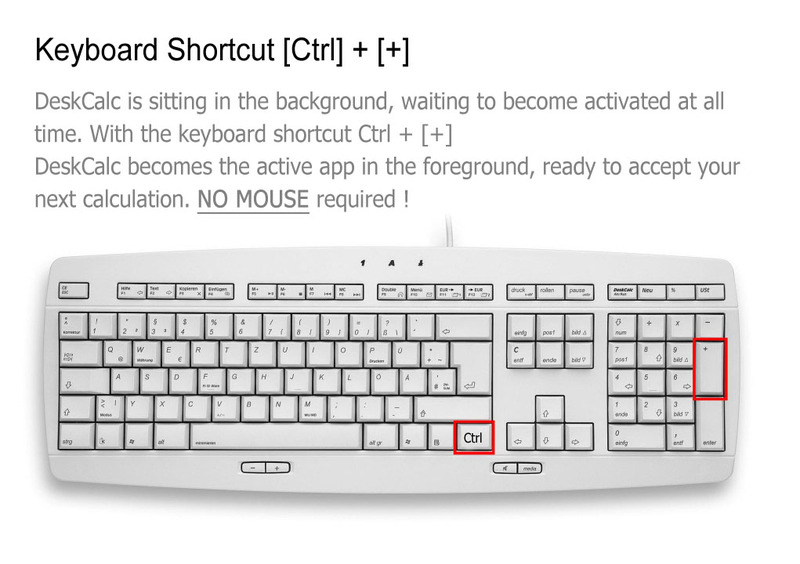 I have used it for years. I have recommended it to many associates. Your continued development and support is excellent. CR Expertise LLC, GMB.